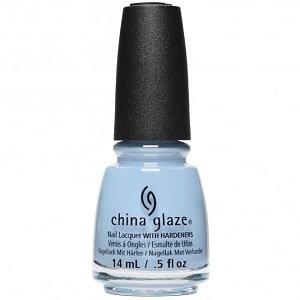 China Glaze Nail Polish, Water-Falling In Love, 1604, .50 fl. oz. Vibrant sky blue creme nail color. China Glaze Shades of Paradise Collection, Summer 2018.